The types of fatty acids in the diet may affect the severity and duration of flare-ups that people with multiple sclerosis and other autoimmune diseases experience. This was the conclusion a team of neurology researchers reached after finding that the length of fatty acids they fed to a type of mouse bred for the study of multiple sclerosis (MS) changed the function of T-helper immune cells in the gut so as to either intensify or alleviate the symptoms of the autoimmune disease. The researchers - from the Friedrich-Alexander-University Erlangen-Nuremberg and the Ruhr University Bochum, both in Germany - report their findings in the journal Immunity. Autoimmune diseases are conditions - often chronic - where the immune system attacks healthy cells and tissue, causing inflammation and pain. There are dozens of different autoimmune disorders. Examples include lupus (where the body attacks connective tissue), rheumatoid arthritis (affecting the joints) and MS (affecting the central nervous system). MS is a chronic disorder that can affect the brain, spinal cord and the optic nerve of the eye. As the disease progresses, people experience problems with balance, vision, muscle control and other body functions. There is currently no consistent reporting and tracking of MS incidence and prevalence in the US, but estimates suggest there are around 400,000 Americans living with the disease. While the exact cause of autoimmune disease is unknown, researchers are increasingly focusing on the gut and its bacterial colonies - the so-called microbiome - especially in relation to neurological disorders such as MS. There is increasing evidence that the gut microbiome plays a key role in disease emergence and progression, and an important influencer of this is diet - a factor that has changed significantly in the industrialized world. For their study, the researchers investigated what happens to mice with encephalomyelitis (used as an animal model for MS) when you vary the types of fatty acids in their diet. They compared the effect of long-chain fatty acids, most prevalent in the western diet, with that of short-chain fatty acids, which are typically found in fiber-rich diets and are only metabolized by gut bacteria. The team found that long-chain fatty acids, such as lauric acid, triggered the growth and spread of proinflammation T cells from the intestinal wall to other parts of the body, including the brain, and led to worse symptoms in the MS mice. 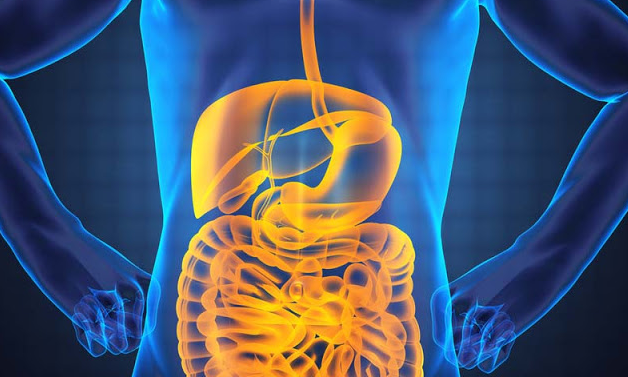 In contrast, short-chain fatty acids - primarily in the form of propionic acid or its salt propionate - spurred the growth and release of regulatory T cells from the intestinal wall and reduced symptoms in the mice. These cells keep the immune system in check by regulating excessive inflammation responses and autoreactive immune cells. When the researchers carried out the same tests in MS mice with germ-free intestines, they found none of these effects and concluded that the gut bacteria are directly involved. Further tests showed that it is the metabolic products of the bacteria, rather than the germs themselves, that are important. "Most approved immunotherapies weaken or block proinflammatory components of the immune system, but by strengthening regulatory pathways, for example by using propionate as a supplement to established drugs, therapies could be further optimized." He and his colleagues now plan to build on their findings and develop new dietary interventions to complement established immunotherapies for MS.